Japan-U.S. Feminist Network for Decolonization (FeND) is a network of activists and scholars resisting both Japanese and U.S. colonialisms. Founders of FeND are individuals living in the U.S. who have roots in Japan. We are organizing in response to the recent surge of ultra-right wing historical revisionist mobilization among some members of Japanese (not Japanese-American) communities in Southern California and elsewhere in the United States. 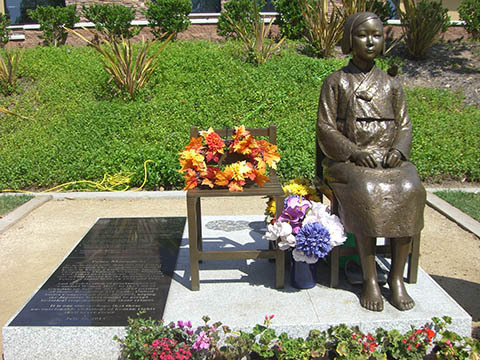 For example, the revisionists are suing the City of Glendale, California over its public memorial dedicated to the victims of WWII-era “comfort women” system of the Japanese Imperial Army. We also oppose the U.S. military presence in Okinawa, Hawai’i, and the rest of the Asia-Pacific, and the Japanese re-militarization. This is not great site actually. Please do not make people to get confuse. I do not believe it — Don’t you state any of your name? It gives me hope to know that there are politically-awoke Japanese people out here advocating for what is right. Keep doing what you are doing. If you are for decolonization, what are you doing living in the US? Under the modern legal framework, colonization is very different from annexing. Pre WWII Korea or the entity on the Korean Peninsula were not colonized by Japan. Please read the international treaty throughly. You cannot change the historical fact….